All buildings require an infrastructure to support them - roads, footpaths, lighting, drainage, water etc. are all needed to sustain the building and its occupiers. Whether you are refurbishing an existing site or building from a green/brown field we can design the most appropriate infrastructure for you whilst ensuring you are environmentally compliant and cost effective. 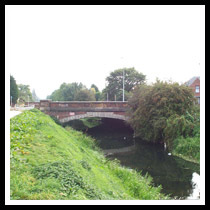 Commissioned by Hull City Council to carry out a study / assessment of all land drainage within the city and put forward an action plan to ensure that the existing system could be improved and maintained to prevent future flooding. The assessment comprised consultations modelling of water flows, visual examinations and on completion made recommendations for improvements to the system. A highways and drainage project commissioned by Wright Construction. The scheme comprised 3 sites each requiring different design constraints. Two of the sites required below ground storage as part of the surface water system. 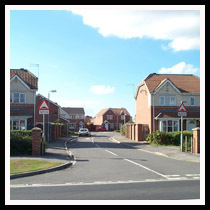 The design of the roads was ‘fast tracked’ to meet the demands of the Contractor’s programme. Close liaison with both parties’ solicitors in dealing with Section 38 and 104 Agreements for the adoption of the roads and sewers was vital.